But there is one major drawback to using bins: they take up a lot of space. And if you keep them on shelves that don’t adjust, you’re wasting even more space. So how can you reap all the benefits of bin storage without wasting so much space? Use sliding bin shelving! 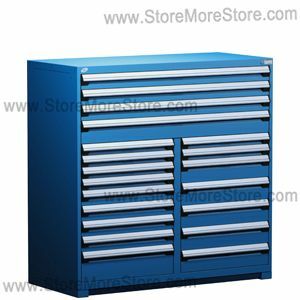 How Does Sliding Bin Shelving Work? 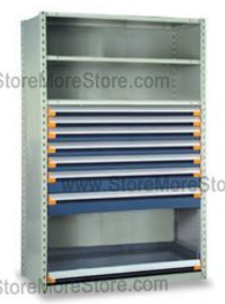 Sliding bin shelving is an excellent solution for organizing your small parts. 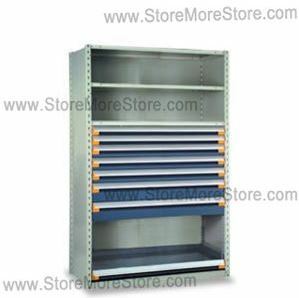 The shelving is specially designed for plastic and cardboard parts bins. 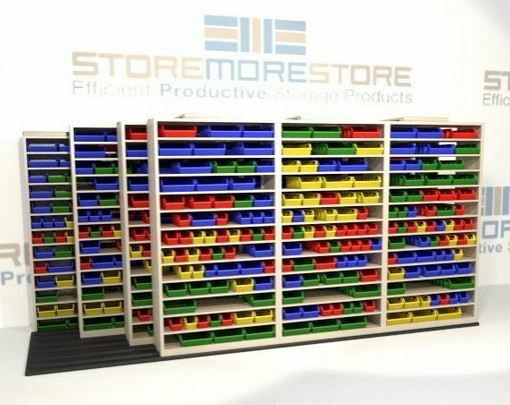 The way sliding bin shelving works to save space is very straightforward. Shelving units are stacked one in front of the other with the front shelving units sliding back and forth on tracks in front of the back units. The result is a high capacity storage system that stores the greatest number of items in the smallest footprint. Each adjustable shelf is rated to hold 250 Lbs. with a total carrying weight of 1,500 lbs. 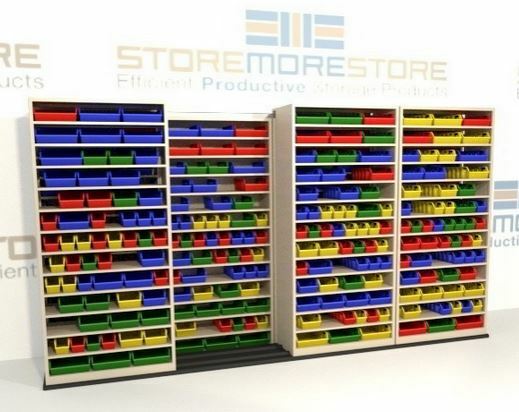 The second best thing about sliding bin shelving (besides the space savings) is that you can find multiple configurations directly from us online. We’ve even created a handy reference chart to help you decided what size and number of shelves you need. And as always, if you need any help or have any questions, please give us a call at 1-855-786-7667.